Over the last couple of months I have been working to clear away barriers in my life. 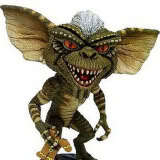 The Gremlins or Devils that stop me from moving forward at the rate I should. I have had ups and downs and meltdowns. I have faced the very things that I help others to discover. It is easy to give advice however at times it is extremely hard to take it yourself. What do you find yourself concentrating on? Is it a failed relationship, losing your job, being swamped in debt? That which you continue to dwell on will be in your life or manifested. With beliefs, it’s so often a case of ‘what you don’t know, you don’t know’! Your beliefs are not the truth, just an accepted and solidified perception. Yet these inner, largely unconscious ‘arrangements’, are shaping and controlling your life at all times! Change your beliefs and you change the very filters through which you perceive and create your world! You have a belief about everything. Are you experiencing limitation, struggle or hardship in a relationship, having money, your career, or health? Whatever the issue, you’ll find a related belief that needs to be addressed and removed! You can choose what you believe! Your limiting beliefs come from upbringing, society, experiences, coping mechanisms and more. The influences are all around you. A passing remark is recorded by your subconscious mind and then you develop ways to protect yourself from harm. Beliefs are thoughts that have an association with experiences that have some type of energy associated with them. Our parents probably didn’t mean any harm, but they passed on their belief systems to us and gave us new ones as a form of protection. Many of our beliefs were formed when we were children and as we matured others were formed by our associations. The problem comes when we hang on to them even when they no longer serve us. For example, a child who learns not to trust people due to circumstances, and carries that distrust into all his adult relationships, even with people he can trust, will suffer from his mistrust. Starting at birth, the subconscious mind faithfully records every event, every moment, everything we experience in your life, and continues to do so throughout your life. That recording, uncountable trillions of bits of information, influences the way you live your life. This recording can be referred to as your Life Script. Our subconscious minds can record information when we are not paying attention. You don’t consciously notice all the sounds in your life because you have grown familiar with them and you have taught your subconscious to ignore them. Take, for example, living in a place where you can hear a train whistle. When you first moved in, you would have noticed it whenever it was sounded. Before you know it, you trained your subconscious to ignore the sound. Friends come over to visit and ask you how you can live with the train whistle. Your reply? “What train whistle?” You now hear it, it registers and your subconscious tells your conscious mind to ignore it. You have a great filter in your subconscious mind. Now relate this experience to your beliefs. You met a person when you were six years old, who was bad and they always wore blue. Now as an adult when you meet a teacher who wears blue, you don’t understand why you can’t trust him. There is no logical reason why you don’t trust him. He has a reputation for being nice and honest and he has never done anything bad to you. You don’t remember that bad person from when you were six, but your subconscious does. This is a belief that affects your emotional decisions about trusting the teacher in blue, yet you have no clue how it came about, or even why you feel you can’t trust him or others like him in blue. You can clear your limiting belief using The Prime Directive. You start by asking to bring to light the beliefs that are unconsciously in place to protect you, yet are actually harming you. Why start here and ask in this way? Because your subconscious does not believe it is limiting you; its job is to protect and serve. Click here to read an entry about the Prime Directive. I will be discussing it more in the future. Do you have the faith to know that your requests will be answered? Would you like help in learning how? Join us for Commanding Your Life Circles the first and third Monday of every month. To sign up go to http: //meetup.commandingyourlife.com. I’m really enthusiastic about sharing my work with more people. So, I’ve decided to have a few spots for Free Breakthrough Strategy Sessions. If interested or you know someone who could use my expertise sign up for your Free Breakthrough Strategy Session. These recommendations have worked for many of my clients and I promise that you’ll get a ton of value from our short time together. I encourage you to sign-up for a free Breakthrough Strategy Session. Click here.